Now *that’s* a saw, at 32 foot in length. One of the first uses of these magnificent giants was shingles. That’s right, they chopped up those magnificently massive trees to make shingles (well actually they apparently used the tree limbs, which were as big as normal trees themselves). Why? Well, in the waning years of the 19th century, there was a huge need for building materials for expansion. Houses needed lumber, shingles and lath. And redwood shingles were insect, and rot resistant – . By 1905 85-90% of the redwood forests remained. This was largely due to the manual labour involved in logging the giant trees. In the June 1911 issue of Popular Mechanics, it was said that “So far that the present generations are concerned, the redwood forests are practically inexhaustible“. They estimated that there were 538,000 acres, of which 62,000 had been felled in the previous 60 years. 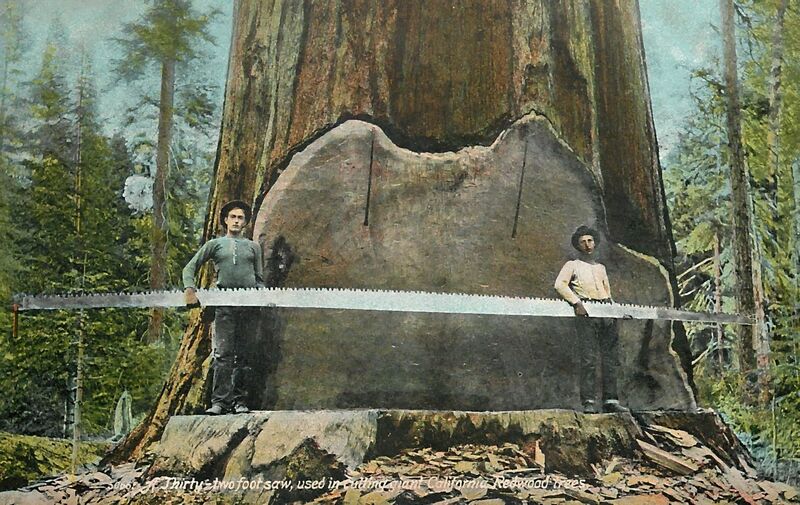 In 1925, 67% of the original redwood stands remained uncut. Mechanization would change all that. In 1910, mills in California produced 543,493,000 feet of redwood lumber. 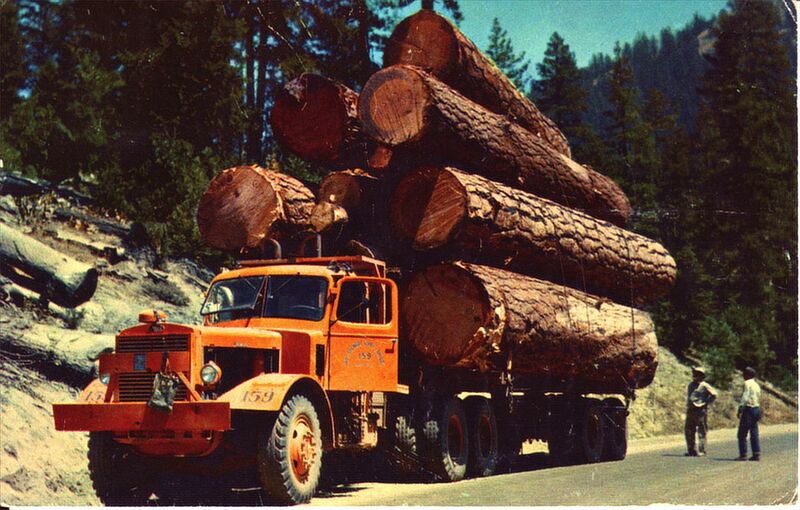 By 1953, over 1,000,000,000 board feet of redwood was being produced annually. Now there is approximately 2% of the original old-growth redwoods remaining. Food for thought on how we continue to ravage the planet.